Next week’s T-Mobile Tuesdays goodies are official. 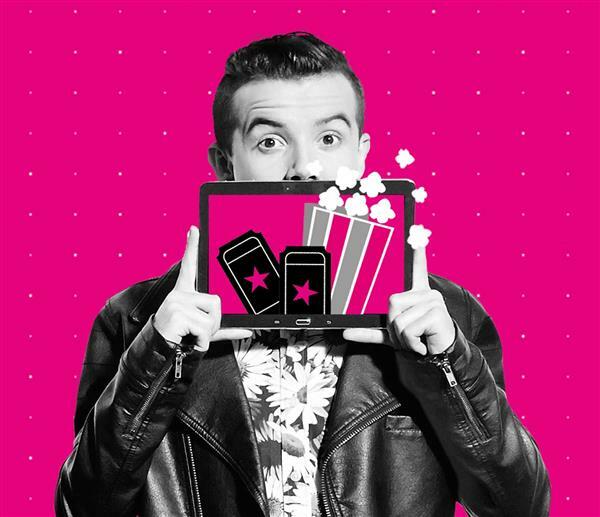 The T-Mobile Tuesdays for December 27 will include three gifts for subscribers. There’s an offer for a $2 movie ticket good for any movie. This offer is valid this Tuesday only, and because there’s a Fandango logo on the T-Mobile Tuesdays site, it seems likely that the deal will be good for tickets purchased through Fandango. The winner of next week’s grand prize will receive a trip for four to Las Vegas, Nev. That includes round trip airfare, two nights in a hotel, $1,000 for food, four concert tickets worth up to $800, and four Lyft credits worth up to $250 each. Also included is a check for $2,793 to spend on taxes or other expenses. The trip must be completed by July 1, 2017. Fifty first prize winners will each receive a $200 Lyft credit and a check for $200. One hundred and fifty second prize winners will get a $50 Lyft credit and a $50 check. Humm still waiting for the zappos deal to be fixed lol. Thanks for reminding me. Haha. They texted me saying it should work now, but the zappos app is still not acknowledging the discount. Was a mistake to do it through their rewards program, should have been actual promo codes. I got it about an hour after you said. It took a while for the app to accept it. Turns out the zappos app wasn’t agreeing with my adblocking vpn. Finally went through once i whitelisted it. This. There’s always some kind of ridiculous condition. You mean like costing $2? This seems like something Legere would have ridiculed when this promotion started this past summer. Thankfully I have family in town next week and 10 lines so I’ll be able to treat them with movie tickets fairly cheap. But this $2 thing is weird since the last couple times they were free even though War Craft and Suicide Squad had opening weekend restrictions and the other ticket had to be used Tuesday or Wednesday. $2 is still fine, but yea i mean it having to be used Tuesday or Wednesday. There’s a few theaters that offer $4 Tuesdays, so it comes out cheaper. That’s actually the entire point. Tuesday is the slowest day in retail. These deals are being provided by the companies to improve their traffic on those days. They get you in on a $2 movie ticket, you buy popcorn and a drink, they make money. There’s a reason it’s T-Mobile Tuesdays, and it’s not because of the alliteration. What’s $15 on New Years Eve get you with Lyft, a block, the right to even request a car? PS Is there a glitch with Tmobile notifications right now? I received no less than 4 texts and 4 emails yesterday telling me my bill was available. Stop pestering me. Yes, they will, just pay your bill when it is due or asked T-mobile to turn-off the notifications (reminders)..
how much ride does $0 get you? if its a block, then its a block u did not pay for.. win! I’m glad they’re giving out Lyft credits. Hopefully, as a driver it’ll be busy for me. the zappos incident was a pain but my mouth was full of sub and i finally got some sweet sandals $3 shipped. i cant believe all the snark, its free stufff folks!! if it works 1 out 10 times im happy cause its a gift. It’s not snark lol. Servers always get overloaded when it’s a popular offer so they might know by now. And it’s not really free, see you spent $3, I spent $15. Fandango: I was disappointed that I had to buy each of the 4-tickets on separate browsers to ensure I had a side-by-side reserve seat. It used to be where you could put in multiple codes at once, but now it’s limited per sale. Either way, got 4-tickets to see Star Wars in IMAX 3D this evening for $8.